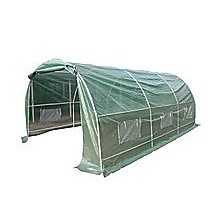 Gardeners of all skill levels are aware of the importance of a good greenhouse. 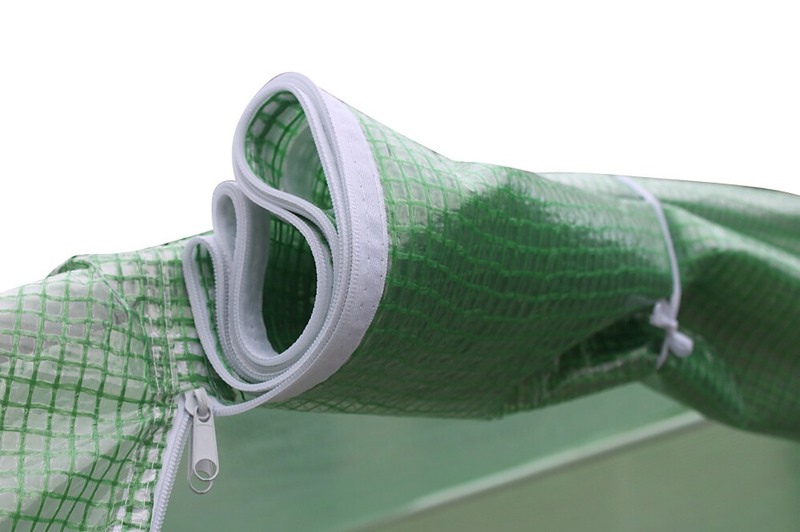 They protect against vandals or unwanted pests, disastrous weather, and bitter temperatures, all whilst utilizing the sunshine and warmth to create the best possible conditions for your plants. However, your average glass greenhouse comes with several drawbacks that many people forget to consider; they’re expensive, can break easily – be it accidentally or intentionally – and often take up quite a bit of space that could be used for other things. This Garden Greenhouse Shed may be the perfect solution. The steel tube frame is durable yet easy to assemble, and is then covered by a hardy, reinforced UPVC sheet. Windows and a door are already implemented into the sheet, making for a quick and easy construction. So if gardening is more your thing as opposed to DIY or construction work, you can still have a fully-functioning greenhouse at your disposal – in minutes, too! 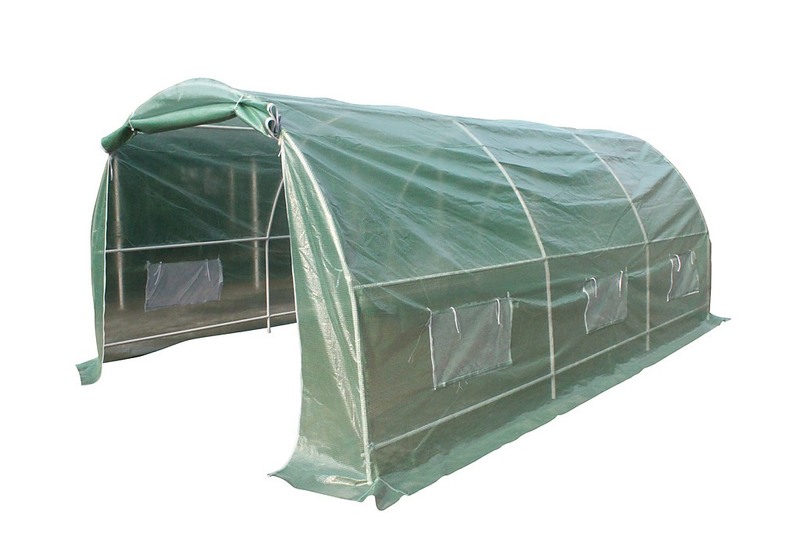 You’ll still have plenty of room to work with – approximately 15 square metres – but you no longer have to worry about stray footballs and the like, making it the ideal greenhouse for a family garden. 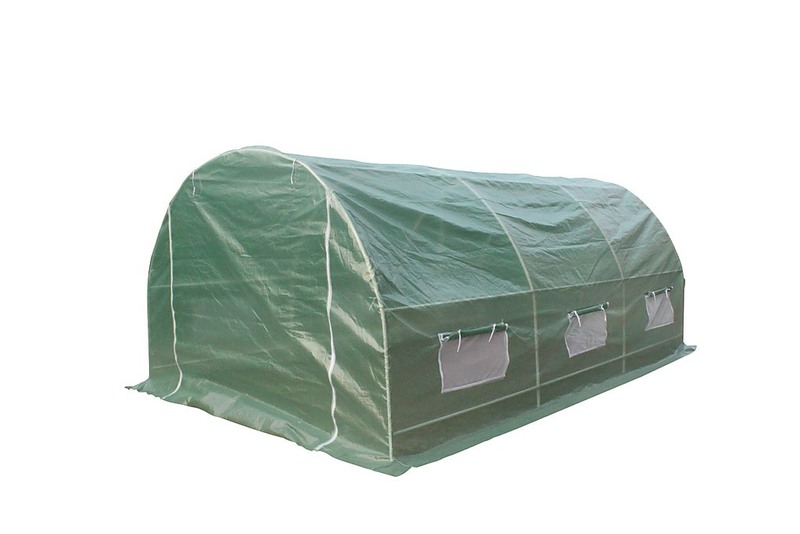 Whatever your garden circumstances, this greenhouse is the perfect addition. Full steel connectors, no plastic here! Double zipped door with metal zip heads "Plastic heads don't last!" 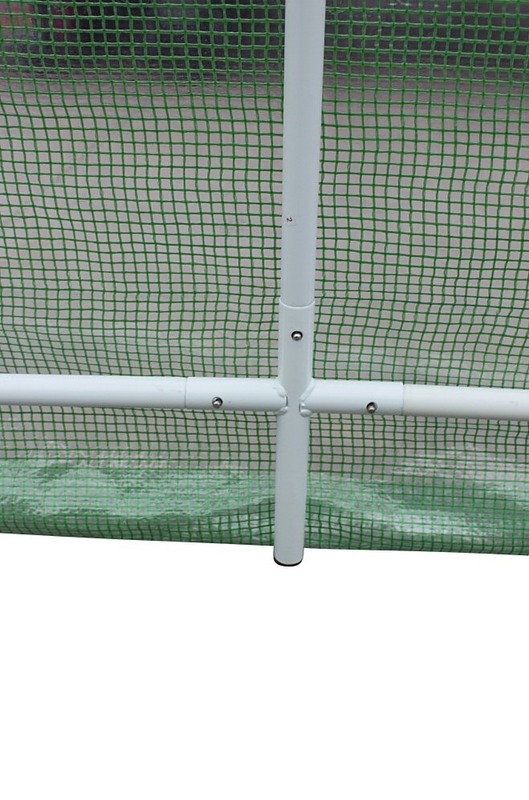 The UPVC cover is much safer in family gardens and makes a stray football a bit less of an issue! 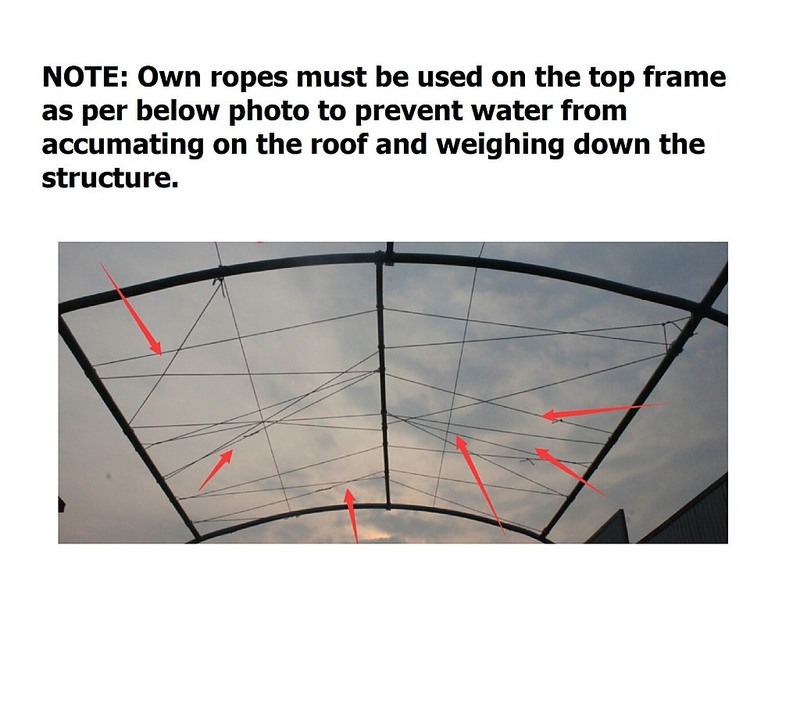 *NOTE: Own ropes must be used on the top frame to prevent water from accumulating on the roof and weighing down the structure.